Parliament is expected to host Finance Minister, Ken Ofori Atta for the presentation on the 2019 budget next Thursday 15th November 2018. The presentation will be the third statement of fiscal policy under the Akufo-Addo administration. Addressing the Members of Parliament on the floor of the house, Majority Chief Whip, Kwasi Ameyaw Cheremeh, implored members to be punctual on the day of budget reading. “I present the budget statement and the economic policy of the government of the year ending 31st December, 2019. The business committee therefore urges honourable members to avail themselves on the said date. President Nana Addo Dankwa Akufo-Addo has already assured that the 2019 budget will “reflect the hope Ghanaians have in the government and the future of the country”. He said through his administration inherited an ailing economy, systematically, it had succeeded, as economic indicators have shown, by putting the country’s economy back on the right path. “Thus, there was no reason for the people of Ghana to be poor because God had endowed Ghanaians with everything, and if we put it together properly, we should be a wealthy and developed nation, that is the vision that is animating me” he said at a short ceremony held at the Jubilee House in Accra a few days ago. Finance Minister, Ken Ofori-Atta, has also indicated that the budget will outline processes for the issuance of the government’s ambitious 50 billion dollar century bond. Mr. Ofori-Atta said the issuance of the bond should help address major challenges confronting the country such as the cedi depreciation. Mr. Ofori-Atta in an interview with Citi Business News said the budget will capture the bond as a major revenue generating venture. 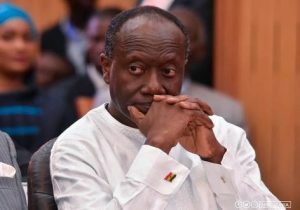 The post Ofori-Atta to present 2019 budget on November 15 appeared first on Citi Newsroom.